It was early Sunday morning. Mr. Mason watched his wife across the kitchen table. She appeared deeply engaged in the daily crossword puzzle. He swallowed his three diabetes pills with a large sip of orange juice. There was a momentary sparkle of light, a glint of sunshine through the clouds. He would give it another try. She raised her chin just enough to be able to stare at him over her reading glasses. “C’mon. You know as well as I do that if you’d eaten all those fats, your belly would be twice the size it is today, and it surely’s big enough. So don’t start that nonsense all over. A book that never leaves my night drawer is The Lost Art of Healing by Bernard Lown, a respected Boston cardiologist, and Nobel Piece Price Recipient. In his book, doctor Lown shortly describes his relationship with a certain Mr. H., “a schoolteacher in his mid-fifties, gentle thoughtful and undemanding.” Mr. H. suffered from a heart valve disorder and needed regular check-ups. This was many years ago when dietary cholesterol was much more dreaded than today. When I saw him at Christmas, I asked what he would wish for most in the new year. Without hesitation, he responded, as though the thought had long been percolating, “I dream of an omelet”. He continued, “I have not had an omelet for ten years. My wife tells me it is poison for me because of my heart condition”. However, William Mason’s cardiologist didn’t prescribe omelets. Although eggs had been cleared by many specialists, research still suggested they might be harmful to diabetics. Eggs, Cholesterol and Heart Disease – Are We Done? In 1989, a paper by Stamler and co-workers in The Lancet presenting data from a study of 1824 middle-aged men who were followed for 25 years, concluded that intake of dietary cholesterol increased the risk of death, particularly death from cardiovascular disease (1). These data strengthened the belief that dietary cholesterol causes heart disease and should be avoided as much as possible. For the omelette, this was the final nail in the coffin. For the layperson, this wasn’t too hard to understand. If cholesterol causes heart disease, eating it doesn’t make sense. So eliminating eggs from our dishes didn’t need much convincing. With more than 200 mg of cholesterol in each egg yolk, eggs were branded as unhealthy and were to be eaten sparingly. In the 1940’s U.S. per capita, egg consumption averaged more than 400 eggs a year but dropped to an average of 236 in the 1990s. The primary culprit for this reduction in egg consumption is believed to have been the concern for the impact dietary cholesterol might have on blood cholesterol levels and the incidence of heart disease (3). But the landscape has changed. Recent observational data suggest that egg consumption is not associated with risk of cardiovascular disease and mortality from heart disease in the general population. These conclusions are largely based on two systematic reviews and meta-analyses published 2013 (3,4). However, both of these studies left doubts with regards to diabetes. One of the studies suggested egg consumption may be associated with an increased risk of coronary heart disease among diabetic patients. The other study hinted that egg consumption may be associated with a raised incidence of type 2 diabetes among the general population, and increased cardiovascular risk among diabetic patients. However, it was pointed out that people with high egg consumption were not following current dietary guidelines and thus more likely to have an unhealthy lifestyle in general. So, in 2013 eggs were okay if you didn’t have diabetes. Not good enough for Mr. Mason and his omelette dream. Mr. Mason’s recent glint of hope has to do with a paper published in the current issue of the American Journal of Clinical Nutrition (5). The study performed in Sydney, Australia, randomized 140 participants to either a high-egg diet or a low egg diet. The former were instructed to eat 2 eggs/d at breakfast for 6 d/wk (12 eggs/wk), the latter were instructed to consume less than 2 eggs/wk. After 12 weeks, there was no significant difference between the groups for blood levels of total cholesterol, LDL-cholesterol (the bad cholesterol), HDL-cholesterol (the good cholesterol), triglyceride or blood sugar control. The high-egg group reported less hunger and greater satiety following breakfast. The authors conclude that a high-egg diet can be included safely as a part of the dietary management of type 2 diabetes. Interestingly, the issue of eggs and diabetes was recently addressed in another paper published on-line in the American Journal of Clinical Nutrition by Finnish investigators who studied the association between egg consumption and risk of type 2 diabetes in middle-aged and older men from eastern Finland (6). This was a typical prospective cohort study that included 2,332 men aged 42–60 years participating in the population-based Kuopio Ischemic Heart Disease Risk Factor Study. During an average follow-up of 19.3 years (after adjustment for potential confounders), those in the highest vs. the lowest egg intake quartile had a 38% lower risk of developing type 2 diabetes. Thus, higher egg intake was associated with a lower risk of type 2 diabetes in this cohort of middle-aged and older men. Eggs have a high nutritional value. Although they are rich in cholesterol, the total amount of fat is not high (5.2 g). This fat is predominantly unsaturated (51% monounsaturated and 16% polyunsaturated). The high protein content of eggs improves satiety. Eating eggs will probably reduce the risk of consuming energy dense, less nutritious alternatives. Epidemiological studies suggest that high egg consumption is not associated with cardiovascular disease in the general population. Recent evidence shows that high egg consumption does not affect blood cholesterol or other blood lipids in a negative way in patients with diabetes. A recent Finnish study even suggests that high egg consumption may reduce the risk of type 2 diabetes among middle-aged and older men. Still, US guidelines for diabetics recommend less than four eggs a week, unfortunately not allowing for many omelets (7). But, if you decide to visit or move to the UK, there are no limits with regards to egg consumption (8). Anyway, I’m happy to go along with Dr. Bernard Lown and write you and Mrs. Mason a prescription for an omelette (or two). Finding that the previous epidemiologic studies showing risk with eggs were meaningless, now frees us to reject papers using the same methodology that showed that red meat causes diabetes (although the inherent contradictions in those papers should have been enough) and the ones that showed that brown rice is good and white rice is bad. Do you think prospective cohort studies in general are meaningless? How should we treat all the data we’ve gained and are still gaining from such studies? Thanks for your book by the way. Got it on my Kindle. Probably read most of it by now and know I will be reading some chapters again and again. Very inspiring and raises a lot of thoughts. If we were to follow your red meat analogy, then we should reject all the prospective cohort data demonstrating negative effects of sugar, refined carbohydrates and glycemic load. Who is ready to make such rejection? Ecological correlations (sugar intake in a country vs obesity rates etc.) are of the worst quality of human studies that exist, clearly worse than cohort studies despised by some low carbers and journalists. That leaves us with randomized trials and animal studies. Results of animal studies are rarely confirmed in humans, it’s estimated that only 10% of the animal results translate into meaningful benefits in human. So much about animal studies alone. What comes to short term surrogate randomized trials (glycemia, insulin whatever) they are set to show only short term outcomes. There are many examples in the field of nutrition and medicine demonstrating that short term effects in randomized trials do not necessarily mean clinical benefits in longer term. Another typical weakness is the restricted study population. For example, you run a randomized weight loss trial in obesity, and then make claims how low carb diet is best for anyone, or at least anyone with insulin resistance weight stable, or not. And we as all know, Mediterranean is the only dietary pattern that has proven track record in randomized long-term morbidity and mortality studies. Prospective cohorts are still needed as much as animal or randomized studies. None of the different methodology is clearly superior in isolation but all methods complement each other. Prospective cohorts are still needed as much as other study methods. Axel, eggs were associated with type 2 diabetes in a meta-analysis by Shin et al. 2013 (AJCN). I appreciate your thoughtful insights as always. I did cite Shin’s meta-analysis (reference 4). Will it change our stance regarding egg consumption and risk of diabetes? If Mr Mason didn’t drink orange juice, he might not need as many pills. I don’t think all anything are meaningless. Prospective cohort studies are meaningful if they tell you something meaningful. “Statistically significant” is not the same as meaningful. There are criteria for when these studies are meaningful, that is, when the associations can reasonably be taken to have a causal connection. I discussed these in a blogpost https://wp.me/p16vK0-gz and in The World Turned Upside Down. Quartiles? Why quartiles? What's wrong with plotting number of eggs against time to T2D diagnosis? Answer: because you would need a computer and computers are expensive or haven't been invented. What year is this? A good tip-off is reporting relative risk. (Alice has 30 % more money than Bob. Is she rich?) Anyway a rough guess is that we're comparing 150 vs. 120 or so. In other words, absolute differences of orders of a few percent. Do you think that the food records were good to a few percent? The question is: what prospective cohort study told us something meaningful about sugar or refined carbohydrates or red meat or anything. A real question. I have read them all. Put that out here and will continue the discussion. Ok? Thanks Richard. I think it’s immensely important that we learn to deal with observational data in the best possible way. That’s why I was I curious about your opinion. But of course it’s full of traps because of all the confounding factors that even our best statistical methods can’t account for. I can’t edit my previous I meant I have NOT read them all. Let’s discuss the best prospective cohort study you can find. If you want to put prospective cohorts in order, please. I’m not willing and not even able to do it, nor have I seen any serious scientific organisation or reasearch body doing it. I suspect it’s doomed to be “opinion based” in any case. And there is no lack of strong opinions within the field of nutrition. When cohort studies are supported by both animal and surrogate randomized trials, then we have a strong case, and then we have a clear value of prospective cohort study. A good example of such consistent line of observation: red meat consumption and colorectal cancer. Anyone who can use PubMed will find these animal, randomized surrogate and prospective cohort studies. Cannot really see the value (or sarcasm) in this “you would need a computer and computers are expensive or haven’t been invented”. if the study is not meaningful, it can’t be supported, especially not by another study that is not meaningful. My sarcasm may be misplaced but nobody has explained why you would break data into quartiles when you can make a direct comparison. 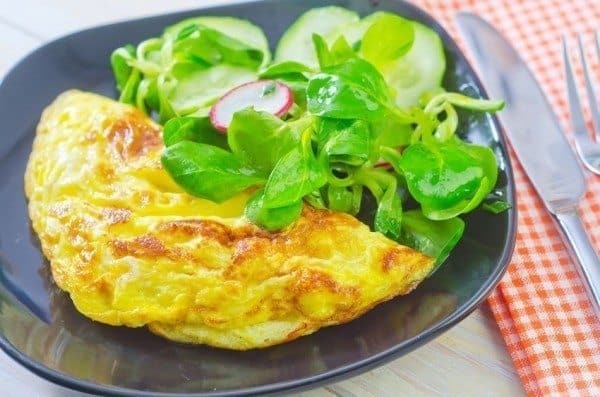 I take the Dreams of an Omelet as telling us that the methods can be so loose that it does not even matter if they point in the same direction because somebody (the Finns?) can make them point in the other direction. The problem, of course, is that in diet, there is rarely anything that has strong enough correlation and you are supposed to have the strength of character to say that the correlation is so weak that the null hypothesis is not excluded but these days (days of low funding) nobody wants to do that. Perhaps you could then explain why breaking data into quartiles renders the abovementioned study close to meaningless, as you seem to imply? Mie, is this a question? That is, do you want an explanation. Are you asking, as a student might, for insight into the limitations of quantiles? The tone of your question suggests you know everything about this and are waiting for me to say something so that you can start a fight? Which one? I can answer the question either way. And I thought the first question was a simple one. Well, yes, I do expect you to answer it. So please, if you could …? It was not simple. The tone of the question tells me whether you are really interested in the answer, or whether you are simply eager to give me back some of my own medicine. I, of course, anticipated, as you say, that it was the latter, but since some people may be interested, I will try to explain. First, I am, however, loosely, George Bray’s colleague and the title of the article is ironic, not hostile. I don’t accuse him of hubris, neither do I think that I necessarily got it right and, most of all, I doubt that he was insulted, nor was that my intention. In any case, for those who are interested, it is generally accepted that when you break up your data into quantiles (the general term for grouping data points), you lose information but it may be a useful visual way to display the data (if the deviation is small, the view will be less cluttered). In other words, you should justify (at least to yourself) that the loss of information is not obscuring very high error. I don’t trust the egg studies to have done that. So, to see what can go wrong — I don’t know that it did go wrong — I made up ten points that had fairly large variation. I broke the data up into quintiles and you can see that that makes the data look much better. Is it misleading? Depends what you do with it. If the independent variable were egg consumption and the dependent variable were cardiovascular disease, you might think that the correlation coefficient shown was very misleading. You would think that although there is a general trend for egg eating to correlate with CVD, the predictability is very low. But using quartiles isn’t without advantages either: you can have the advantage of equal size groups, which increases the power of your analysis. Or you can test whether a graded dose-response relationship links exposure and outcomes. Or etc. etc. BTW, I didn’t think you accused Bray of hubris. I do not understand your comment. My figure has equal size groups and is essential a dose-response curve. If you reported only the figure with the quintiles instead of also showing the original data that would be misleading. You could put in error bars but that would still obscure the data. There is no advantage to quantiles except the appearance of the figure but that is a matter of taste. I always want to see the primary data. Any time you average data, you lose information. If the error is not large then it is not a problem but there is no advantage that I an ssee. 1. Make people understand that correlation does not mean causation. There has been a single instance where epidemiological correlation has been meaningful and that was the correlation between smoking and lung cancer. That correlation was overwhelming – your odds of contracting lung cancer was 30-40 times higher than a non-smoker (depending upon the study). There has been no health-related epidemiological study on something like heart disease since then that’s been within orders of magnitude of that correlation (but that hasn’t stopped epidemiologists from claiming causation over and over again on all sorts of topics). 2. Relative risk is meaningless without the context of absolute risk. I cringe whenever I see someone claim that a certain drug reduces your risk by 30% (or whatever). Thirty percent of what? It’s meaningless unless you know the actual rates that people contract the disease. If everyone understood these two simple concepts life would be so much easier. And when it comes to eggs I’ve told my friends for a long time if they don’t want their yolks I’ll be happy to take them off their hands. I think it is better to say correlation does not necessarily imply causation. The cancer-tobacco example, as you say, may not only be the classic case, but may be the only case but the principles are still there.. And if you have trouble dealing with all the egg yolks, you know who to call. Prospective cohort studies and case control studies are not designed to prove causation. I guess the word “observational study” best reflects the nature of these studies. They can only assess whether there is an association between certain risk factors and outcome. Of course such studies can be very useful and we know they’ve often generated hypotheses.The Framingham Heart Study is an example. But we shouldn’t attempt to use such studies to answer questions they can’t, due to their design and nature, answer. 1) Make people stop repeating that “correlation-is-not-causation”, as if we hadn’t heard this before. 2) Make people understand that the RR vs AR issue is indeed well understood among those who conduct these studies (and amoing those who e.g. write treatment guidelines). Thanks for the laugh this morning, it’s a nice way to start off the day. Sorry but entire branches of science are built on correlation (see climate change, nutrition). Just because people have heard “correlation does not imply causation” ad naseum doesn’t mean the message has gotten through. Until I stop seeing observational study results stated in studies, articles and press releases as if they’re meaningful we’ve got a real problem. And I’m sorry to put it this way but you’re delusional if you think that people (including researchers) all understand the implications of relative risk vs absolute risk. I’m sorry, too. Sorry that you didn’t understand my message. I’ll make it simple: correlation isn’t causation, yes indeed. However, to presume that this statement is somehow a) inherently meaningful universally (that is, correlations can be dismissed categorically as you seem to suggest), b) has particular explanatory value or c) … well, is worth repeating, suggests that you my good man have a problem. The fact that you dismiss nutritional science and climatology – just based on your misunderstanding about observational studies – underlines this, clearly and sharply. Once again, it seems you’re projecting. As in “psychological projection”. Thanks for the deep insight into my “problem” and your psychological analysis based upon a few written sentences on a blog post – I’ll give that criticism all the consideration it’s due. So just out of curiosity, in what situations do you find correlatons to be meaningful? I view correlations as a starting point for actual research – discover a correlation and then you can actually run a RCT (if possible) on that hypothesis. Coming to a conclusion of cause and effect without having run the controlled study is terrible science and unfortunately quite prevalent. Examples abound in both climastrology and nutrition where this concept is ignored. You asked & answered the question yourself, partially but still. Why on Earth can’t you then understand that you’re spewing nonsense in the final sentence? Lack of understanding or a case of “crankism”? (oxidized LDL) and COPD (any pollutant invading lungs). Theosulfate to rid the carcinogens in smoking. Michael – sorry I missed your comment earlier. I’ve heard the 30-40 times more likely stat a few places, in the video I’m attaching the doctor talks about it starting at the 3:30 mark. Everybody read the case study about the man who had 25 eggs daily for many years. The paper by Kern has received considerable publicity, with news reports suggesting that the study shows that cholesterol is unimportant, without discriminating between cholesterol in the diet and that in the blood. Dietary cholesterol has an important effect on the cholesterol level in the blood of chickens and rabbits, but many controlled experiments have shown that dietary cholesterol has a limited effect in humans. Adding cholesterol to a cholesterol-free diet raises the blood level in humans, but when added to an unrestricted diet it has a minimal effect. Publicizing the story of a man who ate 25 eggs a day will ultimately confuse the public and instill skepticism about nutritional teaching, an area in which emphasis on the fatty acids in the diet is needed. First of all, choleserol have nothing to do with heart issues. essential for our D-vitamin production and for many other hormones. the immune system so the road for immune diseases are open to start. is maintained at a stable level, not to much and not to little. vegetables in them. You can start to see them from 17.000 years ago. “First of all, choleserol have nothing to do with heart issues. And water has nothing to do with drowning as it is essential for human life. I’m waiting for the Clinically Proven tag from four out of five cereal growers. for those of us lucky to have the apoe 4 gene it has been shown eggs and dietary cholesterol in general is detrimental to our health correct? while the rest of the population is not affected by dietary cholesterol correct? That’s right Amy. Currently, those with ApoE4 are advised to limit dietary cholesterol and saturated fats. This is a game. You can find a lot of studies suggesting that eggs may adversely affect blood lipids and you may find others suggesting that this is not a major issue. It depends on who you listen to and what that person wants you to believe. In general I think there’s overwhelming data suggesting moderate egg consumption is harmful. Fr. Gregor is a firm believer in plant based diets for everybody and he believes that everything that may remotely raise LDL cholesterol is bad. I don’t believe so. I think eggs are a highly nutritious and satiating. However, if you have a cholesterol issue, high LDL cholesterol, familial hypercholesterolemia or APOE4 you may want to limit egg consumption.